I loved the card design ,the Art deco pattern looks wonderful ! Gorgeous color you used for this pretty card. Great shading on a simple card. Love it! Gorgeous card! Love the purple! So pretty I love this stamp with the purple!! Beautiful purple. Love the background stamped in white. This would be really versatile. Thanks for sharing. Boy that purple just pops and using the white ink is perfect! Great card!!! Wonderful card! Love the purple, I agree it is so much fun to see the design come alive when doing the emboss resist with the inks. 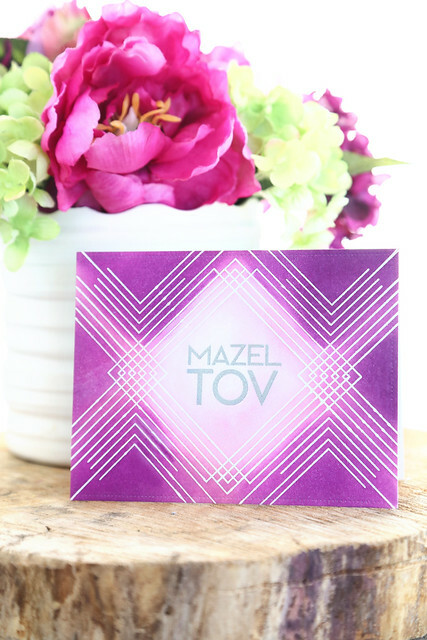 Gorgeous purple in this pretty card. I love that purple, so pretty!!!! Love that purple. It goes so well with the graphic design of the stamp set. Thanks for the inspiration! Pretty card - can't wait to see how you use this for Christmas. 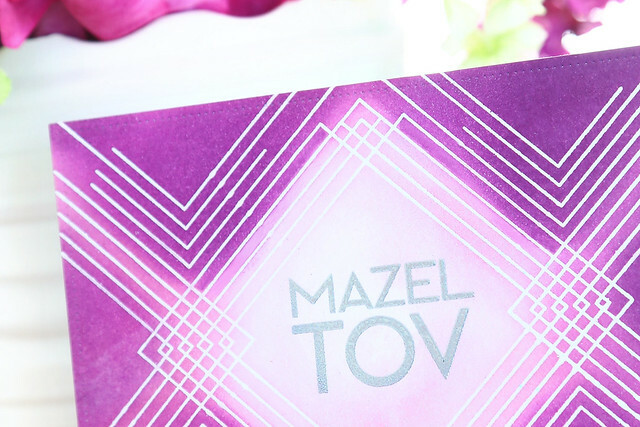 Wow...your dark purple totally changes the look of this fun stamp! Great card! Lots of possibilities with this Art Deco set! Love your card! Awesome color and design! Beautiful card, loving that color! Love the way you blended the colors. The white center seems to glow.